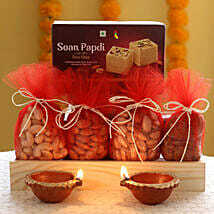 Diwali is also known as Deepavali and it is fondly called the festival of lights. People deck up their home with bright lights to eliminate all darkness of life. During this festival, people worship Lord Ganesha and Goddess Lakshmi who showers immense health, wealth, happiness, and prosperity on the lives of people. As it is a five-day festival and most of the schools, colleges, universities, and offices in India, so people prefer to spend this time with their near and dear ones. 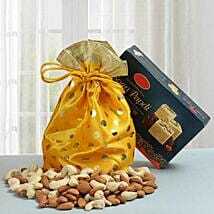 Gifts play a major role as it is the grand festival of India. 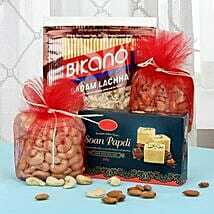 Among all kinds of gifts, Diwali sweets are the most popular ones for the delicious taste. Apart from that sweet items like Rasgulla, Gulab Jamun, Milk Cake, Kaju Katli, Soan Papdi, etc. enhance the sweetness in relationships among people. 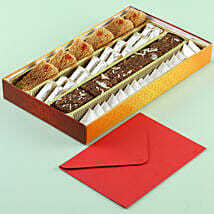 So, for your loved ones in Hyderabad, send Diwali sweets to Hyderabad using our brilliant delivery services. Sweet is an integral part of our life and culture; all our special festivals and occasions remain incomplete without sweets. No one can imaging Diwali celebration without sweets! Diwali is basically the celebration of light, the celebration of new hope – and thus it is the perfect occasion to have some sweets. 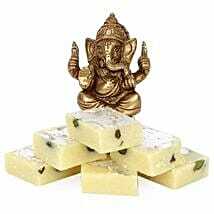 Now you can order Diwali Sweets In Hyderabad online easily through our website. 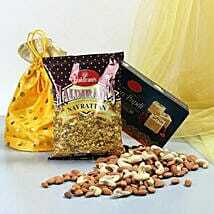 We have dry sweets like Kaju Katli, Kaju Barfi, Kaju Rolls, Soan Papdi, Soan Cake, Soan Halwa, Pedha, etc. Among laddoos, you would spot the bright yellow Motichoor Ke Laddoo, nostalgic Besan Ke Laddoo, healthy and nutritious Dry Fruits Laddoo, etc. 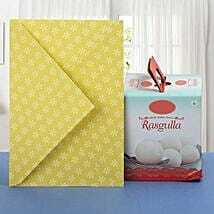 The soft and palpable Rasgulla, Gulab Jamun, Rasbhari, Chamcham are also there to make your Diwali memories sweeter. 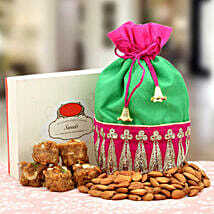 Order these sweet items individually or in combos or Diwali hampers and surprise your loved ones. 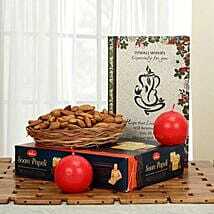 Ferns N Petals has reasons to be the number one online gift portal. 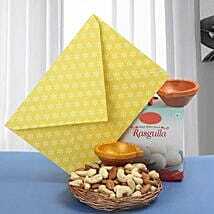 The prime reason is the enviable array of gift ideas pertaining to all kinds of festivals and occasions. This large collection of gifts are supported by a strong network of delivery services that have crossed the map of India. 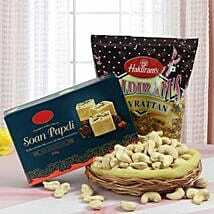 Yes, using our website, you can send Diwali sweets and gifts to countries like USA, UK, UAE, Canada, Australia, Singapore, Malaysia, New Zealand, etc. And within the domestic walls, we deliver to more than 350 locations. So, use our express delivery, midnight delivery, same day delivery or next day delivery services and get a hassle-free Diwali sweets delivery in Hyderabad, Ahmedabad, Surat, Chennai, Bengaluru, Delhi, Gurgaon, Kolkata, Pune, Mumbai, etc.